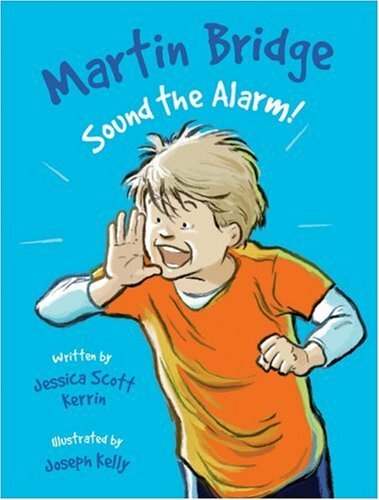 Home > Books > Martin Bridge: Sound the Alarm! Martin Bridge and his friend Stuart find a full-scale model of their space hero's rocket in the toy store and just have to climb in for a ride. But after landing back on Earth, they find the toy store closed and locked -- with no way out! Then Martin sees something in a display window that turns his knees to jelly. What will he do when he's trapped with his greatest fear? Join Martin Bridge as he faces his fear, puts a Park Ranger Super-Charged All-Night Flashlight to good use, gets a new babysitter and discovers that knowing a few dance moves pays off in more ways than one!